Giant's Head Freeride is a longboard event held every year in beautiful British Columbia, Canada. We wanted to make sure the website could handle large surges of e-commerce traffic when the tickets went on sale. We also wanted the check-out and registration process to be easy to use for kids and their parents. 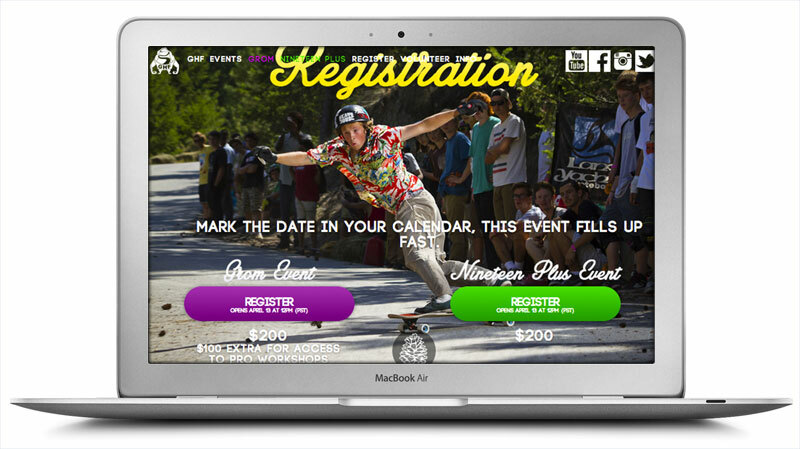 The event was a huge success and the registration process has works flawlessly year after year. This is the 8th year of the event and attendance has been consistently high compared to other, similar events. Check out the website, which features a follow-cam video as it's opening statement.